When it comes to your website, Search Engine Optimization (SEO) is most likely a term you’ve heard thrown around. Many Omaha business owners know SEO is important, but are unsure of how it will benefit their bottom line and how to get started with an SEO campaign for their site. 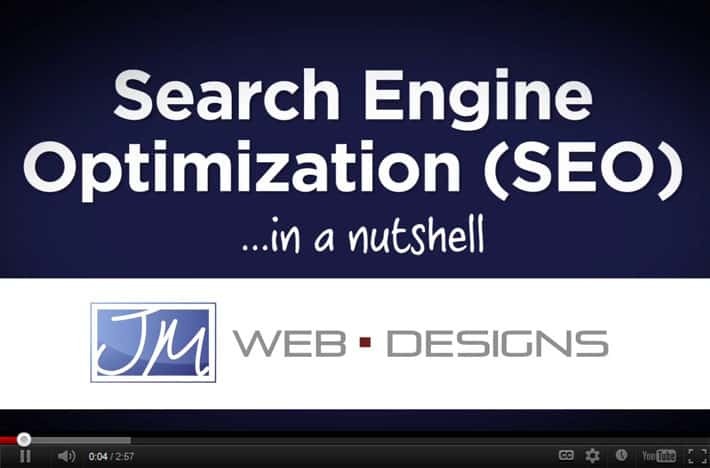 Our team at JM is on a mission to help Omaha businesses understand SEO and how the value of a solid strategy can help with any company’s online marketing efforts. A good online presence starts with a beautiful and functional website design. Then, the next step is to hire an experienced SEO team with a comprehensive strategy to assist in marketing your product or services through the use of quality content and Google-friendly methods. As part of our mission to educate Omaha on SEO, we’ve put together a short video explaining what SEO is, our methodology and how it can benefit any business. Please watch and share! We look forward to your feedback. Our website design and development team is excited to announce the launch of a new website for Omaha Federal Credit Union. When it comes to banking, there are many choices in Omaha; and in order to stand out, Omaha FCU needed to update their website design and website functionality to stay relevant in the online marketplace. JM recently launched a new website for ABS Tree Care. ABS Tree Care is a full-service provider of residential and commercial tree care needs and serves Omaha, Council Bluffs and surrounding areas. One service we rarely touch on through our blog is web hosting. And while we don’t mention it often, it’s one of the more important services we offer at JM. Without web hosting – your website could not be online marketing your products and services. There are SO many choices when it comes to web hosting, and it’s often difficult to know where you will get the best value. 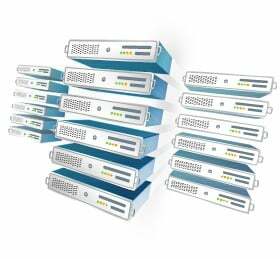 Many Omaha companies have different web hosting needs, including a dedicated server, email, databases, etc. No matter your web hosting needs, there are a few key things to consider when deciding on a web host. First thing to look for is excellent service. Often, when it comes to technology, Omaha businesses are typically looking for support that won’t talk over their employee’s heads, but will instead work through any website and IT problems, answering any questions or concerns. Also, when problems arise, it’s important to have a web hosting company that will keep you updated on the progress of fixing the issue. Some larger web hosting companies can be challenging in this respect – due to high call volumes. Next thing to look for is reliability. Websites have replaced brick and mortar stores for many businesses. Your website downtime is equivalent to your brick and mortar store being closed. Additionally, websites can be a business’ primary form of marketing. It can have a negative effect on marketing efforts when a website is down. Do a little research into the web hosting company you’re considering. Do they have a good reputation? Are their servers going to keep your “store” open to potential business? Will prospects be able to contact you when their ready for your service? Lastly, when looking at Omaha web hosting it’s important to consider security. Security online is extremely important. As online threats and hackers become more advanced it’s important to keep your business information and customer information secure. An experienced web host will be able to stay on top of threats and quickly tackle any issue when it arises. If you’re looking for a reliable, secure and customer service-focused Omaha web hosting company, JM is offering a free six months of web hosting when you transfer your website to our server. We are confident you will see the value in hosting your Omaha business website with us.